After a 20-year career in rock climbing and mountaineering, Alex began developing his photography and studied photojournalism. He’s been a pro-photographer since 2006 and has developed a sensational client list. A mid-sequence shot of Rusty Baillie on Cenotaph Corner, Dinas Cromlech, Llanberis Pass. © John Cleare/Mountain Camera Picture Library. Spending two days interviewing and photographing Alain Robert in Qatar was particularly entertaining. He wore leather trousers, cowboy boots and a medallion. It’s easy to forget amidst all the media attention he receives for climbing buildings, that in 1993 he was soloing 8b in the Verdon gorge. I love my Canon 5d. It was the first digital camera I used that I felt could viably replace film. I’ve subjected it to a tremendous amount of abuse and it just keeps on working. I have recently been given a 1940’s Rolleiflex so it will be interesting to try and take some climbing pictures in the square 120 medium format. Also my Rab Microlight Alpine Jacket has become fairly essential. Canon 17-40L zoom, it’s very sharp and the zoom range works well when hanging on a rope close to a climber. Any of my friends on any big wall in Queen Maud Land. All you need to do is to find a great route with a great line, a willing and able climber wearing bright clothes, be able to access the best position to take the photograph, use good composition and then pray for amazing light. Spend your money on the best lenses, all modern digital SLR’s have good sensors but you need great glass to realise their potential. 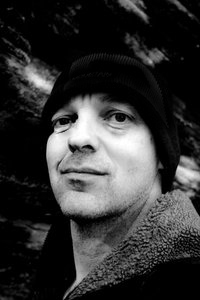 Many thanks to Alex for sharing his time with the Climbing Photography blog. We had the added bonus of meeting at Kendal this year for the John Cleare slideshow. Cheers Alex. Can’t believe I’ve only just found this site, and all the imagery here. There are some great shots, and some interesting points of view. 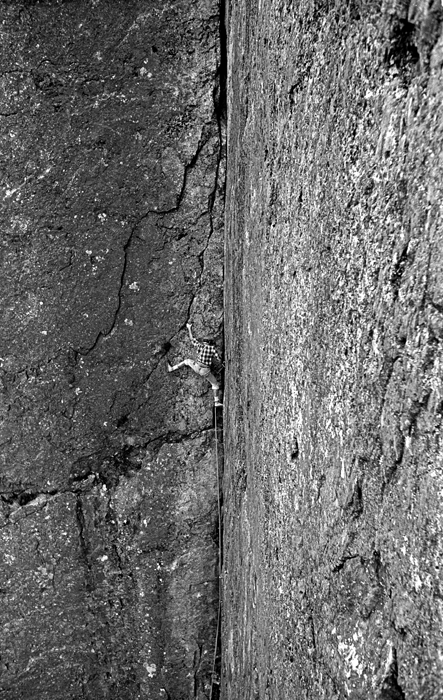 Next post: 5 Great gritstone climbing photos to shoot from the ground.